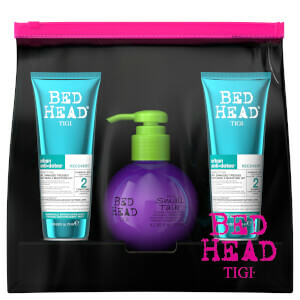 Catering specifically for men, the TIGI Bed Head Lion Tamer Beard and Hair Balm softens and conditions as it controls frizz for a well-groomed, dapper finish. Fortified with Glycerin and Sacha Inchi Oil, the lightweight, non-greasy formula moisturises and hydrates hair, whilst nourishing facial hair and the skin beneath. Expect smooth, manageable hair and an easy-to-tame beard. Distribute evenly through the beard and skin beneath. Apply to towel-dried hair and leave to dry naturally.